Approved in 2000, the da Vinci Robotic Surgical System is hailed by some as a minimally invasive device. It is also considered risky for patients. Sales increased since its introduction, and so did its use. In 2017, the number of procedures hit the 700,000 mark at over 2,000 hospitals in the United States alone. According to the manufacturer, over five million procedures have been done worldwide. The procedures were performed by approximately 44,000 surgeons trained in the operation of the da Vinci Robotic Surgical System. The device’s success is shadowed by the more than 20,000 adverse events associated with it in this country. Let’s explore what the da Vinci Robotic Surgical System is and how it works. We’ll also look at the number and type of adverse events associated with it. The system, created by the California-based company Intuitive Surgical, has four robotic arms, which operate on the patient. A console is operated by the surgeon who controls the arms. The console has a high-definition three-dimensional viewing system, providing surgeons with an excellent view of the area. It allows them to remain seated throughout the procedure. This prevents the surgeon from becoming fatigued after standing for prolonged periods. The robotic arms lend stability to tedious procedures. This makes it possible for the surgeon to make precise incisions. Combined, the varied advantages of using the da Vinci Robotic Surgical System makes the procedure less invasive. It also decreases the amount of blood loss and provides for faster recovery time, according to company marketing. Because of the da Vinci Robotic Surgical system's ability to work precisely in small areas, using a three-dimensional camera, it is commonly used for many different procedures. Some of the most common are hysterectomies, gallbladder removal, organ transplants, repair of cardiac valves and bariatric (weight loss) surgery. Most prostate surgery (roughly 80 percent) is done using this robotic device. As time goes by, the da Vinci Robotic Surgical System is expected to be used to treat cancer, particularly in the cervical area, and the brain. Freezing of controls: When this happens, the system may need to be restarted much like a computer. Surgeons might also need to take over from the machine when the controls freeze. Malfunctioning arms: The arms might move to the wrong area during surgery or drop items such as insulation into the patient’s body. Electrical problems: Electrical arcs from the device can cause burns to various organs during the surgery. Depending on the area, this can cause significant injury. Intestines: Perforations, tears, and burns to the intestines can occur on occasion when this robotic surgical system is used. This can happen due to electrical malfunction (burns) or because the arms damage the bowels. Symptoms are not always immediately seen. They may occur several days after the surgery. Commonly, the patient has already been sent home. The patient may notice abdominal pain, fever, vomiting, nausea, abdominal distension or diarrhea. If this is not addressed immediately, the individual may die. Surgery will be needed to repair the intestine. In addition, in some cases, a colostomy may be required. This is a way to drain waste products into an outside bag attached to the patient. A colostomy can sometimes be reversed, but this requires additional surgery. Each surgical procedure carries its own risk of infection or other problems. In addition, it lengthens the recovery time, often by years. Bladder injuries: The bladder can also be burned or perforated. Usually, the injury is noticed during the surgery and repaired. However, if it is not, symptoms such as pelvic pain, blood in the urine and fever can occur. Long term, this can cause additional pain and bladder dysfunction. Uterus: The robotic arm can cause perforation of the uterus. This can result in complications and increased bleeding. This problem is usually noticed during the surgical procedure. It may require conversion to traditional open surgical methods. This can cause more internal scarring or adhesions to form, necessitating further surgery. It can also increase the risk of infection, longer duration of anesthesia and cause considerable pain and a longer recovery period. Given the complications, a more traditional approach such as laparoscopic surgery could be substituted. Laparoscopic surgery has the same odds of success without the risk. It also is about 50 percent lower in cost. Lung problems: Since robotic surgery requires the patient to be placed in a head-down position, fluids can collect in the airways. This increases the need for intubation and can lead to infections such as pneumonia. Symptoms of pneumonia are a cough, fever, breathing problems, chest pain, and fatigue. Burns: One of the most frequent injuries associated with the da Vinci Robotic Surgical System is internal burns. Patients are burned and even electrocuted. It also causes organ and blood vessel damage, which can result in heavy bleeding. The patients often need emergency surgery after the initial surgery. If not, such problems can be fatal. The scissors used by the da Vinci Robotic Surgical System are called EndoWrist Hot Shears Monopolar Curved Scissors. They cauterize and cut tissue during the surgery. The problem is that the insulation develops micro tears or cracks. The company issued a warning in May 2013, saying they could cause burns from electrical arcing. In July, the FDA also issued a warning to the company about the same problem. The scissors are controlled by the surgeon. However, the insulation issues are the main culprit. Problems with inadequate training for surgeons also cause issues with using the scissors. The Manufacturer and User Facility Device Experience (MAUDE) database is the FDA's filing system of defective medical device problems. It houses both mandatory reports by manufacturers and voluntary reports by facilities and users. Injuries that involved burns were added to this FDA database. One incident involved a patient who had a hysterectomy. During the procedure, a nearby main artery called the right external iliac artery was burned. The artery bled profusely. It results in ischemia, and the patient died due to this negligence. Blood transfusions and emergency surgery were performed to no avail. In others, arteries were charred by an electrical spark. The FDA reports that it permitted Intuitive Surgical to batch injury reports. This means if 1,000 reports of injury are recorded, it could be much more. For instance, let’s say 500 burns are recorded. In reality, the actual number could be 5,000. By batching reports, the possibility of injury appears much less. It is now impossible to say for certain how many adverse effects due to the da Vinci Robotic Surgical System are in the MAUDE database. While the FDA uses this system to monitor problems with defective medical devices, sometimes the data, the agency says, can be wrong, incomplete or biased. The number of recalls has dwindled in the past few years. Overall, there have been 175 recalls in the past 10 years. The highest number (49) occurred in 2014. There was only one recall in 2010 and the following year. The most recent, in 2018, amounted to eight recalls. Major recalls in 2016 and 2017 concerned system malfunction. In one, surgical arms failed. In another, the knife used to make incisions did not move. In still others, the robotic arm would move unexpectedly. The FDA issued a warning letter for the da Vinci Robotic Surgical System in 2013 for improper marketing. This concerned its uses for thyroid surgery. One of the major problems associated with the da Vinci Robotic Surgical System is the number of training surgeons undergo. The company offers a series of training courses. However, there is no legally binding way to insist that surgeons train for a certain amount of time. The chief of cardiothoracic surgery at SUNY said that the training was and is inadequate. He stresses that a surgeon should not be able to use the device without completing the available training programs. He admits that the first time he operated using the da Vinci Robotic Surgical System he had two hours of training. Since then he has done over a thousand procedures but worries that other doctors may also be inadequately trained at the start. Intuitive Surgical does not have the ability to insist on training schedules, but neither does the FDA. There is no requirement that surgeons must fulfill, and it is left to the hospitals. In one year alone, Intuitive Surgical spent $144 million paying doctors for training, travel, and research. Some doctors are paid to provide training to other physicians. In 2018, one study said that payments to institutions and doctors influenced research conclusions. It was noticed that when payments were made, the research leaned favorably on the benefits of robotic surgery. The use of financial incentives that could bolster favorable reviews of robotic surgery goes against the grain of honest inquiry into safety. Numerous lawsuits seeking compensation for patient injury and death due to problems with the da Vinci Robotic Surgical System have been filed. Some have filed claims over injuries due to system malfunctions. 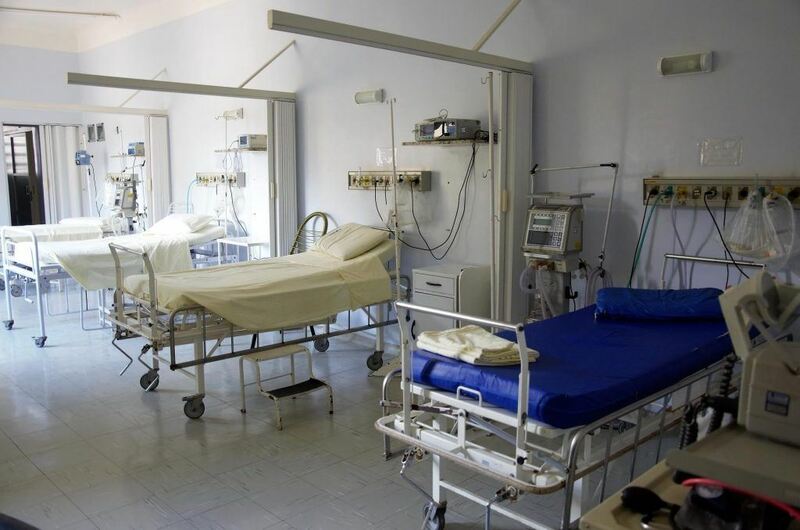 The claims can range from product liability to malpractice claims against a hospital or doctor. Product liability claims are built around defects in the manufacturing or design of the medical device. 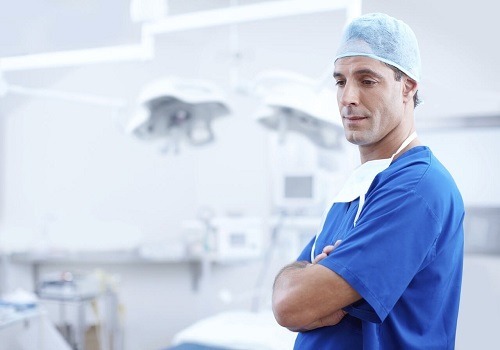 Alternately, a medical malpractice lawsuit involves negligence by the hospital or doctor. This type of suit would be appropriate if the surgeon’s training were inadequate. Since the hospital decides how much training is necessary, the onus would be on them if the lack of training caused a problem during surgery using the da Vinci Robotic Surgical System. While surgeons may inform you of the benefits of robotic surgery, they are also obligated to tell you about the risks. The same is true of the manufacturer. If you had robotic-assisted surgery and developed symptoms afterward or suffered complications during surgery, you need to speak to an injury lawyer. In either case, you may need additional reparative or emergency surgery. This can result in soaring medical bills and more time away from work. 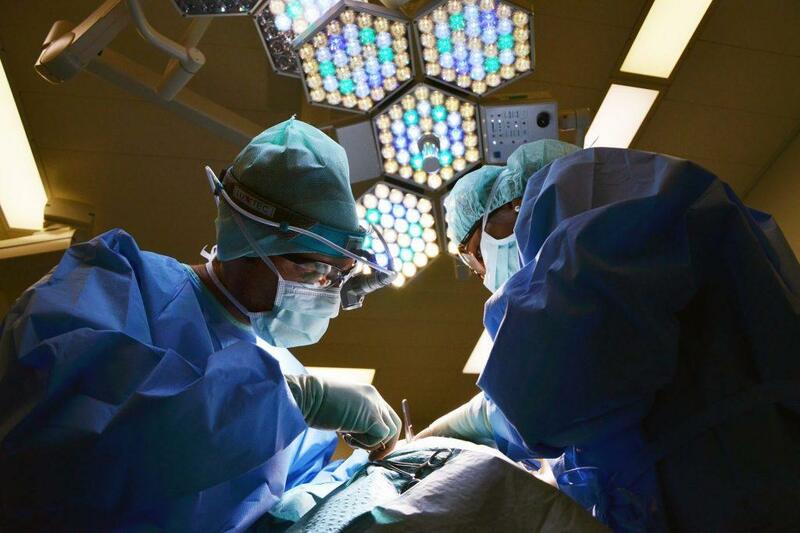 A product liability or medical malpractice lawsuit, filed against the manufacturer or the surgeon and hospital, may provide the financial relief you need. Because of the complexity of such lawsuits, an experienced attorney with the necessary resources can offer assistance. In some cases, the family may be suffering the loss of a loved one due to surgery with the da Vinci Robotic Surgical System. Not only are the decedent’s loved ones grieving but they must face life without the monetary assistance the deceased provided. A wrongful death lawsuit can remedy the financial loss. An experienced wrongful death lawyer can assist in filing the claim. I’m Ed Smith, a Sacramento Products Liability Lawyer. Serious injuries and deaths have been attributed to the da Vinci Robotic Surgical System. If someone you love died or if you were injured by this device, I can help you obtain the compensation you deserve. Call me at (800) 404-5400 nationwide or in Sacramento and the surrounding area at (916) 921-6400 for free and friendly advice. You can also reach me online by using our convenient contact us form. I’ve helped those injured by negligence in a variety of situations since 1982. I’ve dedicated my professional career to helping those who are suffering by another’s mistake, be it a company, a government entity or another individual. I am proud to be a member of the Million Dollar Advocates. This organization allows only those trial lawyers who have won more than $1 million for a client. As a member of the National Association of Distinguished Counsel, I have been recognized as one of the top one percent of lawyers nationwide who provides legal excellence in their practice.